Since 1982, Earls Kitchen + Bar has evolved into North America’s distinguished destination for ‘upscale casual’ dining. 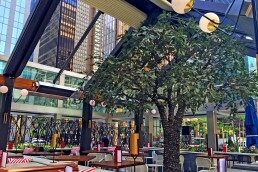 Determined to instil the soul of Leroy “Bus” Fuller in each dish, drink and restaurant, every detail has been painstakingly measured and perfected to create a franchise that is true to its roots. 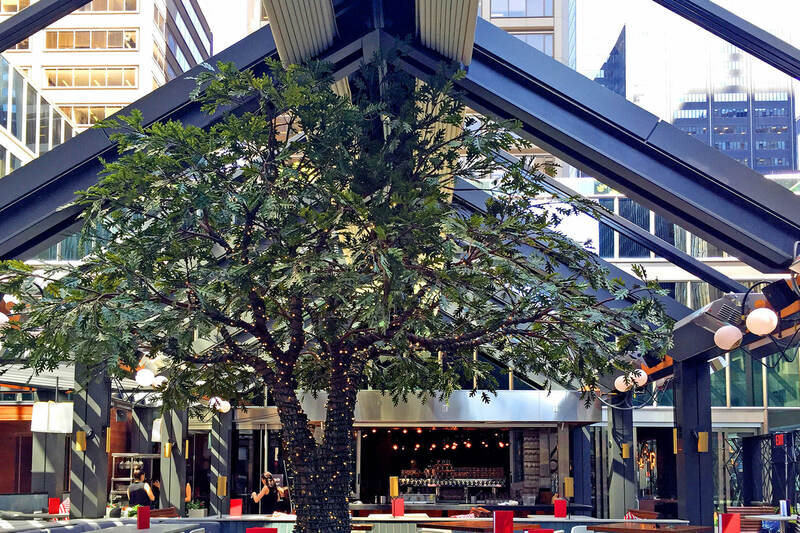 Earls King Street is a testament to their dedication. 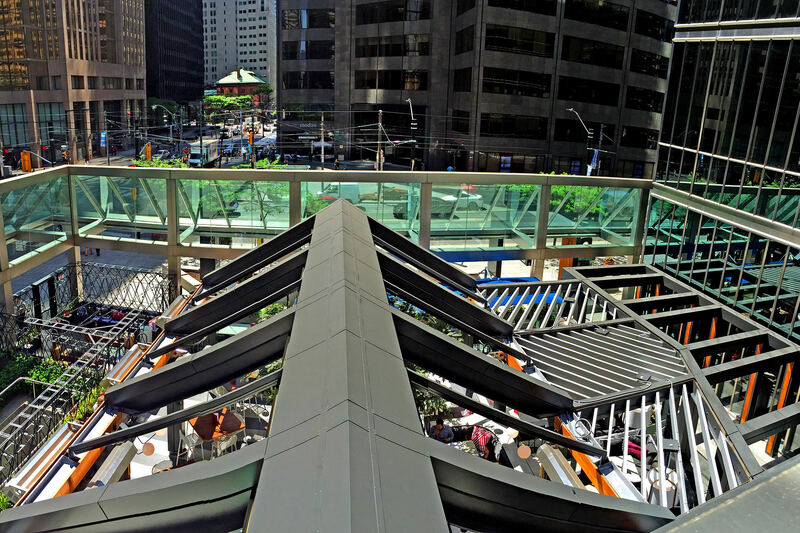 Located in the middle of Toronto’s internationally renowned financial district, this location has quickly become the preeminent destination for Toronto’s local community and the 40 million tourists that visit the city. 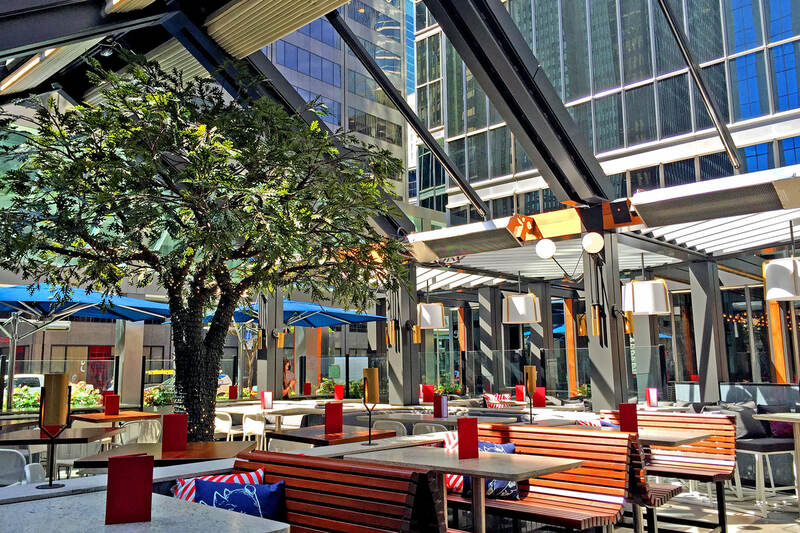 The restaurant’s West Coast industrial design, accentuated with deep, rich woods and stone, brings a piece of Vancouver’s spectacular outdoors to downtown Toronto. On a given sunny day, you will be hard pressed not to find groups of friends casually soaking up the sun on the hundred-person patio. 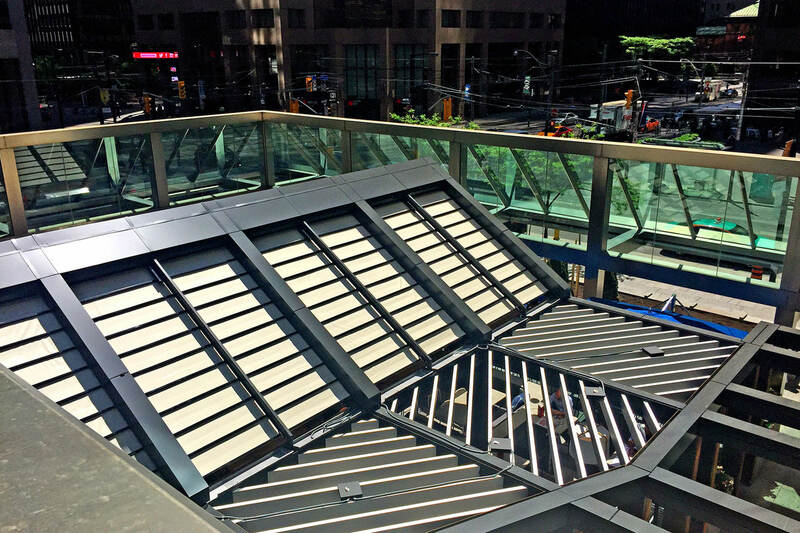 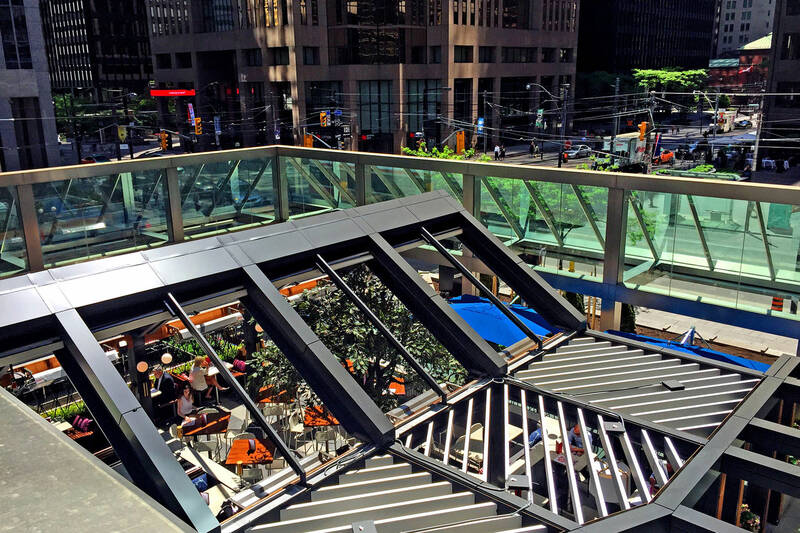 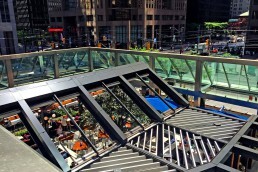 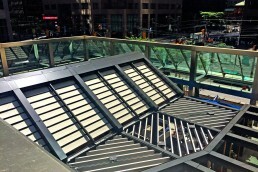 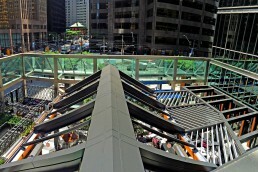 Determined to make everyone “forget everything they knew about patios”, Earls King Street partnered with ShadeFX to bring style and versatility to their trendy outdoor space. 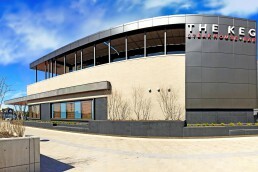 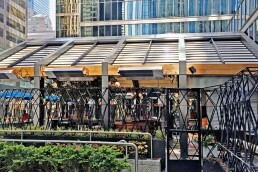 Embodying the same keen eye for detail and excellence as Earl’s Kitchen + Bar, ShadeFX designed an outdoor canopy system that would cover sixty-percent of the patio with eight motorized canopies. 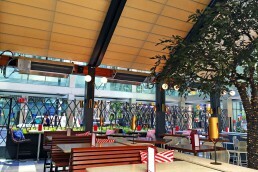 Christine Meijer, GM of Earl’s Kitchen + Bar, expresses her delight with the installation. 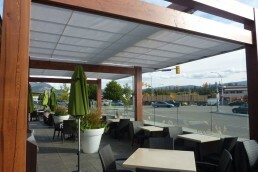 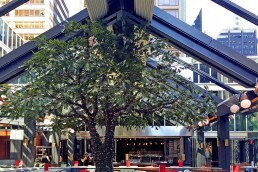 By bringing ShadeFX to the patio at Earls King Street, she is pleased to see that guests can be catered for based upon their preference for either sun or shade. 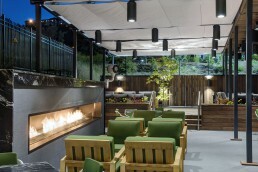 More importantly, rain is no longer a deciding factor during outdoor service, but rather, a unique ambience to Earl’s West Coast style. 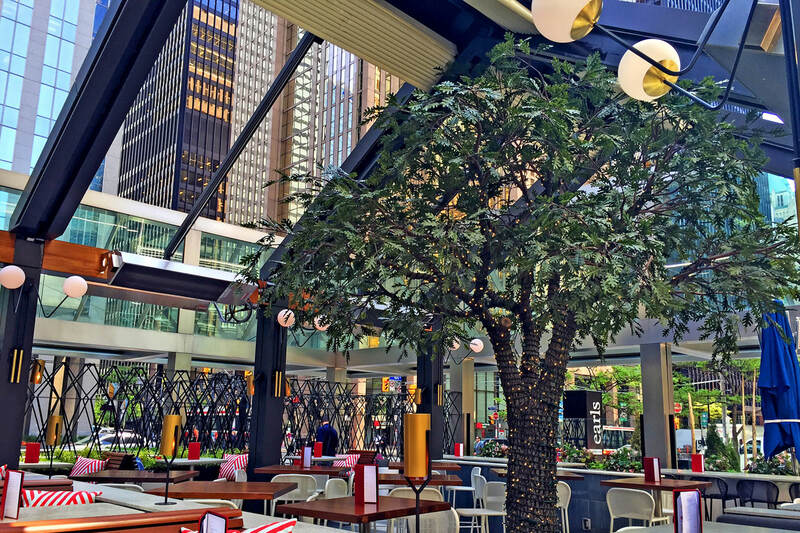 “In the heart of financial district in downtown Toronto, our patio represents an innovative take on West Coast dining in a chic environment. 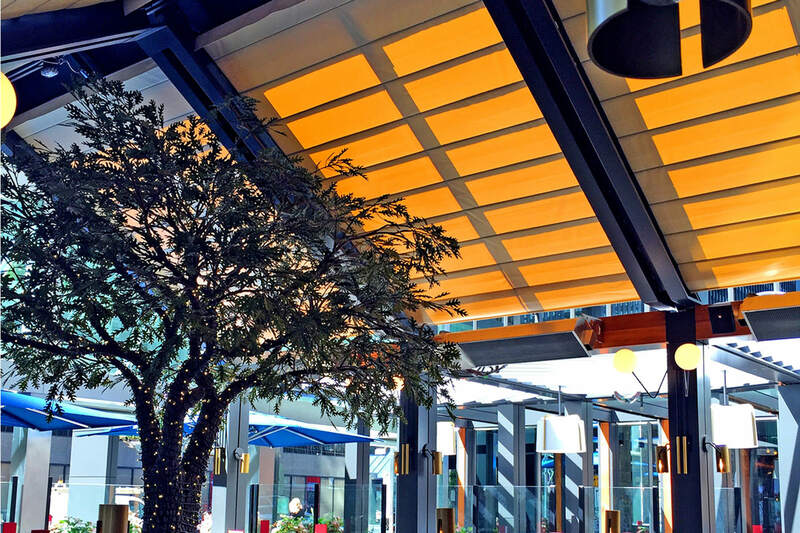 Our goal is to provide upmost comfort, whether it be enjoying one of our signature dishes with a loved one, or socializing with colleagues over a cold beverage. 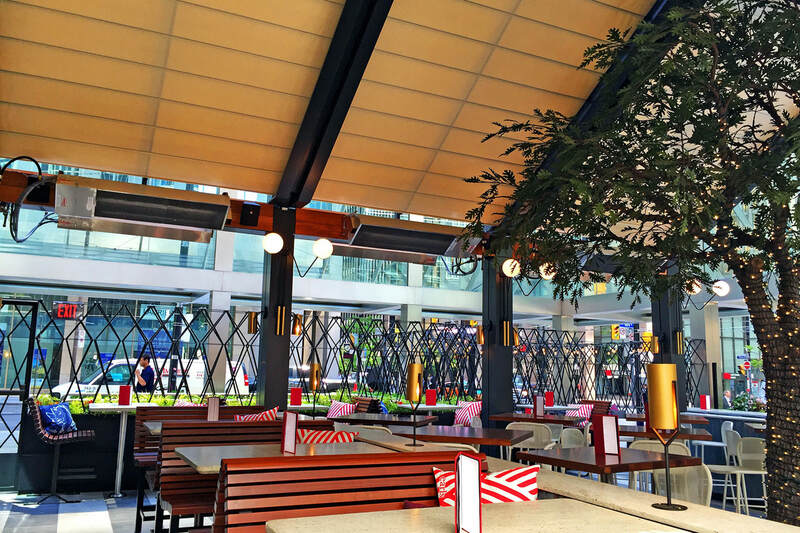 With a large seating capacity on our patio, it is vital the space use is not compromised by unfavourable weather conditions. 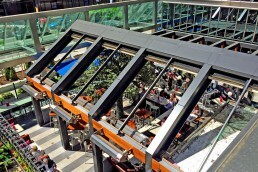 At the push of a button we can operate all eight retractable canopies in sync or individually, providing us ultimate flexibility in protection and coverage.